Forty-eight grade 12 students crossed the stage at Blackville School on Thursday evening to receive their high school diplomas. 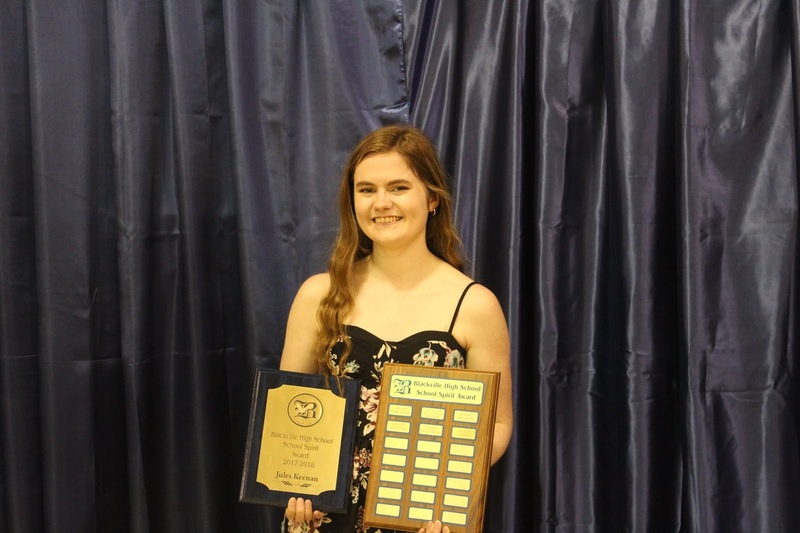 The valedictorian was Gina Keenan and the salutatorian was Marlee Schofield. Reverend John Stewart gave the invocation and Father Owen Burns did the benediction. Superintendent Mark Donovan and Blackville School Principal Rodney Buggie addressed the staff, graduates and their guests. 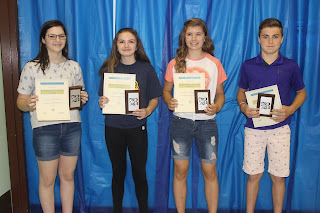 Middle School students celebrated their awards day on Wednesday morning, June 20. 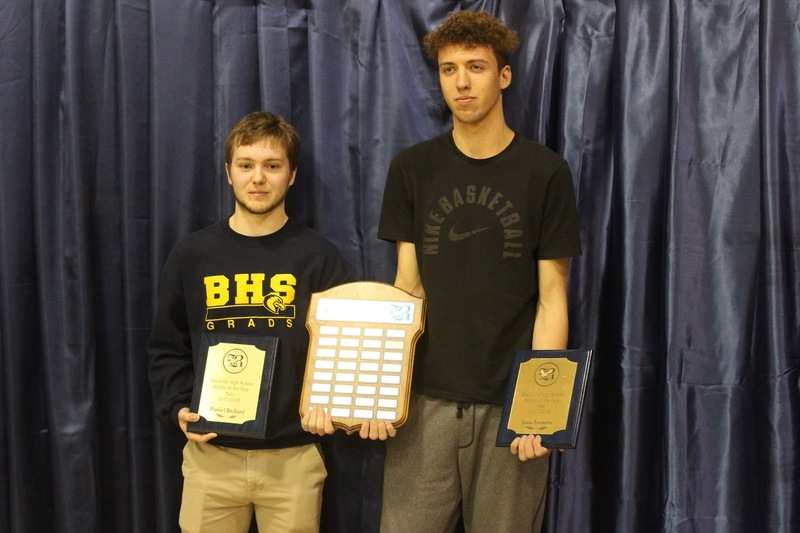 Students involved in different school clubs and activities were recognized. 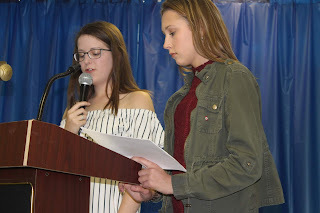 Certificates of Participation were presented to students involved in the Mountain Bike Club, Student Council, District Science Fair and Genders and Sexualities Alliance. 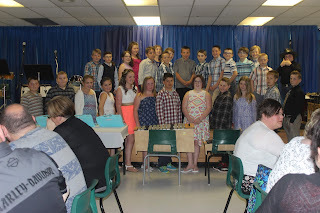 Other award recognitions included, positivity, hard work, good attendance, perfect attendance and most improved. 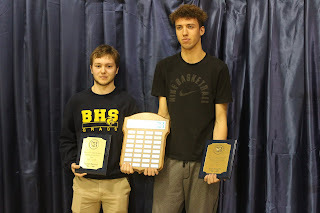 There were also prizes from the Miramichi Salmon Association and Scholar Awards. 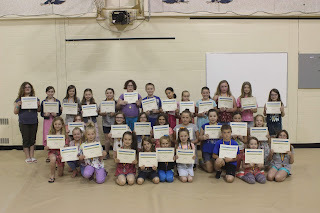 Elementary students received their awards and recognitions on Tuesday morning, June 19. 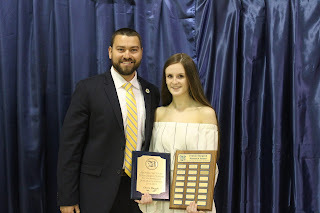 A number of awards were presented, including recognition for extra-curricular participation in a variety of activities, such as cross country, basketball, music, science fair, archery, road hockey and soccer. Other awards included good attendance and perfect attendance, as well as prizes from Miramichi Salmon Association prizes and Scholar Awards. Each students also received a class medal. For more photos, click here. The prom for the Blackville School 2018 graduates and their guests was on Saturday, June 16. 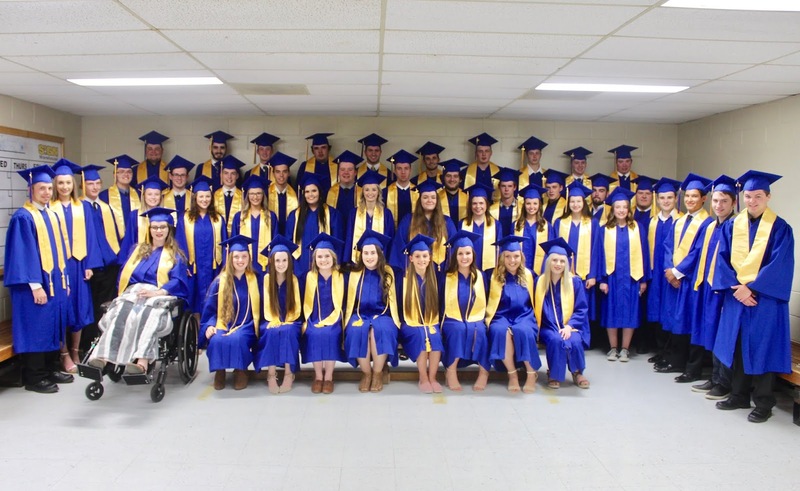 The graduation ceremony is this Thursday evening, June 21. High school students at Blackville School participated once again in the Safe Grad Initiative sponsored by Alcool NB Liquor (ANBL) in cooperative with the New Brunswick Department of Education and Early Childhood Development. The students created an awareness video called "Seconds," and it was recognized with a $1000 prize to help fund Safe Grad activities. The video explores how drinking can have tragic consequences during an evening that was anticipated to be a fun-filled experience. The narration in the video is presented without any dialogue. The video features two local paramedics and Blackville School alumni, Alisha Brophy and Kaylon Vickers. The students who produced the video are Noah Donovan, Amber Walls, Samuel Keenan and Olivia Buggie.